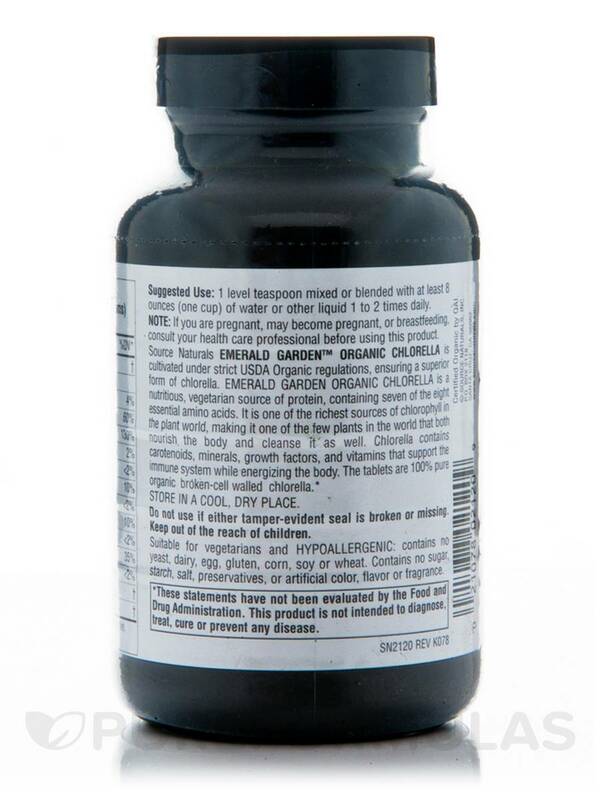 Emerald Garden Organic Chlorella Powder is a great chlorella powder. Love this stuff. Will buy it again. 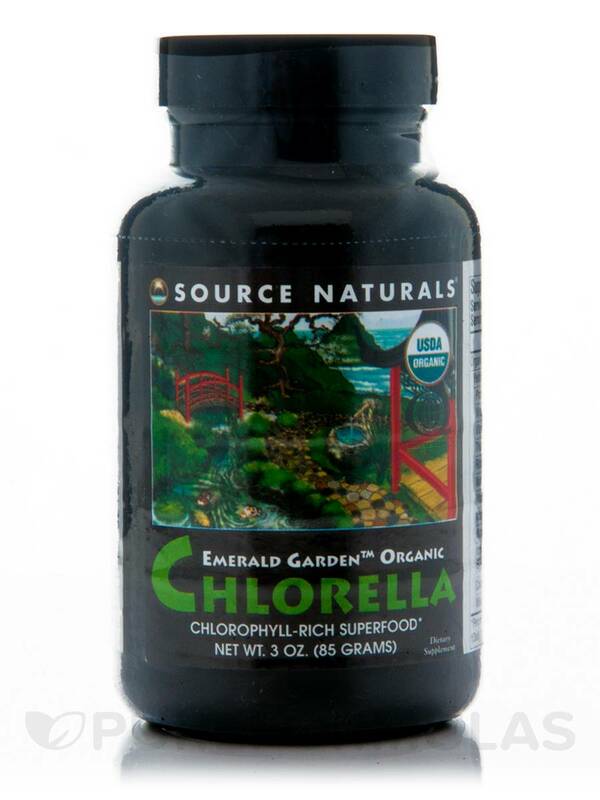 Emerald Garden™ Organic Chlorella Powder 3 oz from Source Naturals may aid in improving digestive health. Chlorella is a type of algae that grows in fresh water and the whole plant is used in this dietary supplement from Source Naturals. . Chlorella is known to be high in protein and other essential nutrients: 45% protein‚ 20% fat‚ 20% carbohydrate‚ 5% fiber‚ and 10% minerals and vitamins. These extracts may contain a water-soluble extract of the plant that is rich in amino acids‚ peptides‚ proteins‚ vitamins‚ sugars‚ and nucleic acids. Chlorella may help increase the good bacteria in the intestine‚ which helps in proper digestion. Studies also show its effectiveness in the prevention of stress-related ulcers‚ treatment of constipation‚ bad breath‚ and hypertension. It is also a source of magnesium‚ which is essential for overall muscle and nerve health. The Emerald Garden™ Organic Chlorella Powder 3 oz from Source Naturals is cultivated under strict USDA Organic regulations‚ and hence is of superior quality. Chlorella is known to have surplus amounts of chlorophyll and is hence among the few plants that can nourish and cleanse the body. 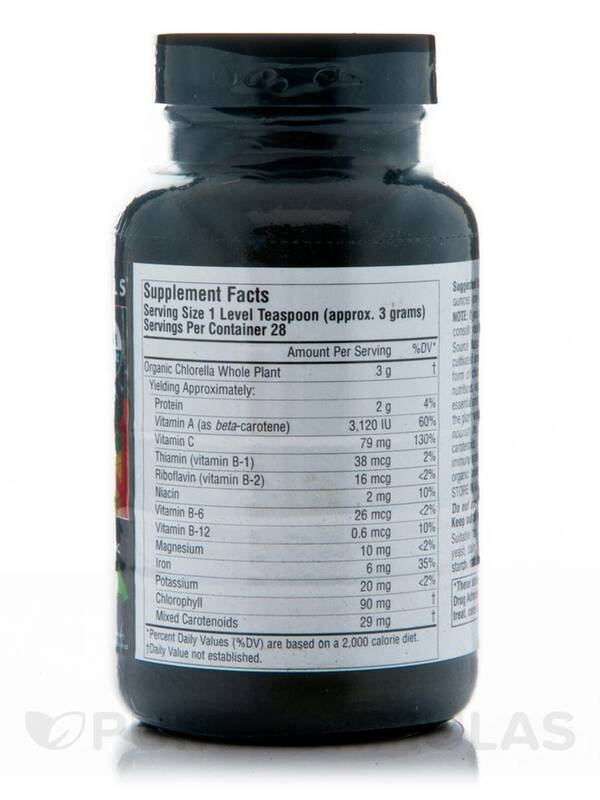 The organic chlorella is suitable for vegetarians and is a hypoallergenic. It has no yeast‚ dairy‚ egg‚ gluten‚ corn‚ soy‚ or wheat. The Emerald Garden™ Organic Chlorella Powder 3 oz from Source Naturals is also sugar‚ starch‚ salt‚ preservatives‚ artificial color‚ flavor‚ or fragrance free. 1 level teaspoon mixed or blended with at least 8 ounces (one cup) of water or other liquid 1 to 2 times daily.